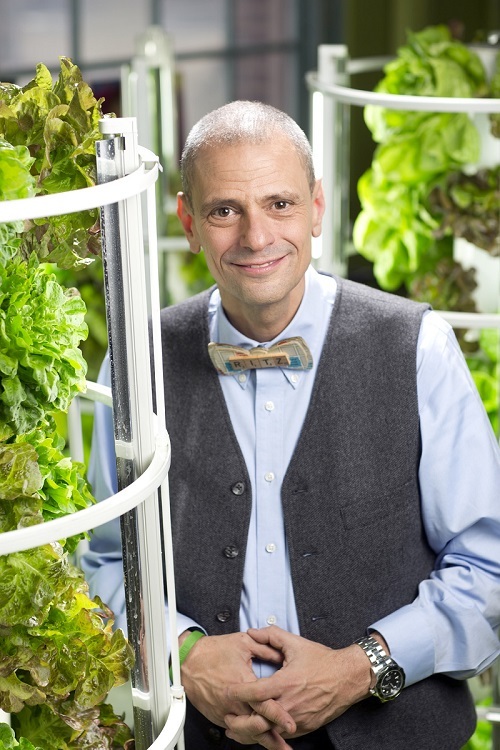 The University of Maine at Presque Isle will present Stephen L. Ritz—an urban farmer, award-winning educator, and the founder of Green Bronx Machine—as the next speaker in its 2018-2019 Distinguished Lecturer Series on Tuesday, April 9, at 7 p.m. in the Campus Center. His talk serves as the keynote address for UMPI’s 18th Annual University Day—the theme of this year’s University Day and the 2018-2019 Distinguished Lecturer Series is In Their Shoes. This event is free and open to the public. During his talk, titled The Power of a Plant: A Teacher’s Odyssey to Grow Healthy Minds and Schools, Ritz will discuss how he and his students farmed their way from the poorest congressional district in the country all the way to the White House and beyond. 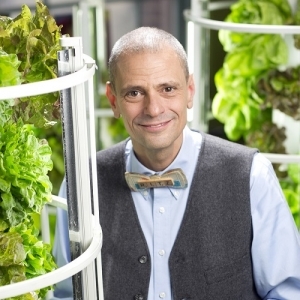 Ritz will also deliver a workshop at 3 p.m. on April 9 for local educators, gardeners, community leaders and those in the agricultural sector titled Vertical Farming: Growing Vegetables for Student and Community Health. To learn more about the workshop, contact Dr. Jason Johnston, Dean of the College of Arts and Sciences, at jason.johnston@maine.edu. Ritz is a South Bronx educator and innovator who believes that students shouldn’t have to leave their community to live, learn, and earn in a better one. Moving generations of students into spheres of personal and academic successes, Ritz’s extended student and community family has grown more than 65,000 pounds of vegetables in an effort to reclaim and rebuild the Bronx. Using vertical farming methods to grow food as part of the school curriculum, Green Bronx Machine builds healthy, equitable, and resilient communities through inspired education, local food systems, and 21st Century workforce development. In 2014, Green Bronx Machine celebrated a Best of Green Schools Award, as one of only 10 recipients across the U.S. The National Association of Secondary School Principals cited Ritz’s work and Green Bronx Machine as one of five national exemplars of service learning. That same year, his fourth and fifth grade students accepted a personal invitation from White House Chef William Yosses to visit the White House and exchange ideas about food literacy. His students have since embarked on growing projects from Boston to Rockefeller Center to the Hamptons and beyond, all while earning living wages en route to graduation. Through his work, Ritz has moved daily school attendance from 40% to 93%, reduced behavioral incidents, improved test scores, and helped create 2,200 youth jobs in the Bronx. Consequently, he captured the United States EPA Award for transforming mindsets and landscapes in NYC. To date, Ritz’s work has been featured in Forbes, the New York Times, the Wall Street Journal, USA Today, and on ABC, NBC, CBS, CNN, Fox, TNT, Disney, and NPR, as well as internationally from Colombia to Dubai. His TEDx Talk has received more than 1 million views and he was featured in the film adaptation of Michael Pollan’s best-selling book In Defense of Food. Ritz has been named one of NPR’s 50 Great Teachers and is the recipient of the 2018 Seeds & Chips Global Educator Award. He has served as a delegate at WISE (World Innovation Summit for Education) and as a national Green Apple Education Ambassador for the U.S. Green Building Council and Center for Green Schools. He also has written two books. His book The Power Of A Plant is a #1 Best-Seller on Amazon and he recently released a children’s book titled Make It Happen! Both books will be on sale after Ritz’s talk and are $28 and $20, respectively, with 100% of the proceeds going to support Green Bronx Machine. Ritz’s talk serves as the kick-off for University Day, with a full day of events following on Wednesday, April 10. From about 9 a.m. to 4:30 p.m., about 130 students are expected to offer talks and presentations on their research and community service. A complete schedule of University Day activities can be found at www.umpi.edu/uday. All are invited to attend Ritz’s April 9 talk and a book signing immediately following the talk. Copies of his two books will be available for sale. For more information about this Distinguished Lecture or the 18th Annual University Day, please contact the University’s Community and Media Relations Office at 768-9452 or email umpi@maine.edu.